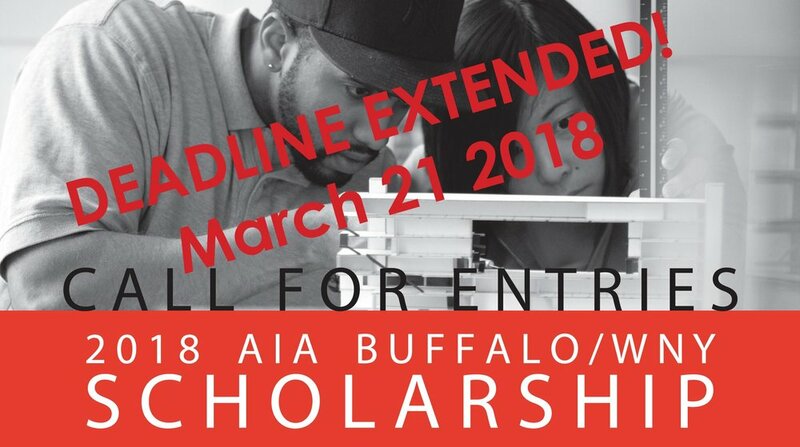 Applications are now being accepted for the annual AIA Buffalo/WNY Scholarship. The scholarship is open to College/University students who meet academic requirements and are enrolled in a NAAB-accredited architecture program, or enrolled in a program that has received NAAB ‘Candidacy’ status. Applicants must be from the AIA Buffalo/Western New York Chapter which is comprised of Erie, Niagara, Chautauqua, Cattaraugus, Orleans, Genesee, and Wyoming Counties. The AIA Buffalo/WNY Chapter with the Buffalo Architecture Foundation will dispense up to $3,000 in scholarship funding for the Academic Year. Amounts awarded will depend on quantity and quality of applicants and will be applied to the Academic Year. The AIA Buffalo/WNY Chapter scholarship is partially funded by a grant from AIA National.